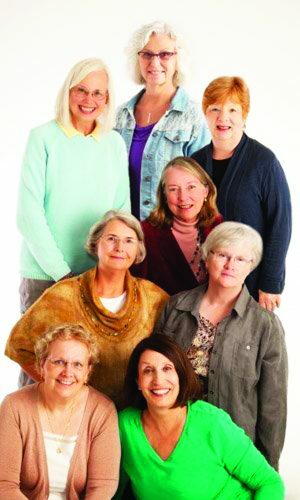 GWINN — Gwinn middle schoolers have been getting tanked up — but in a positive and scientific way. 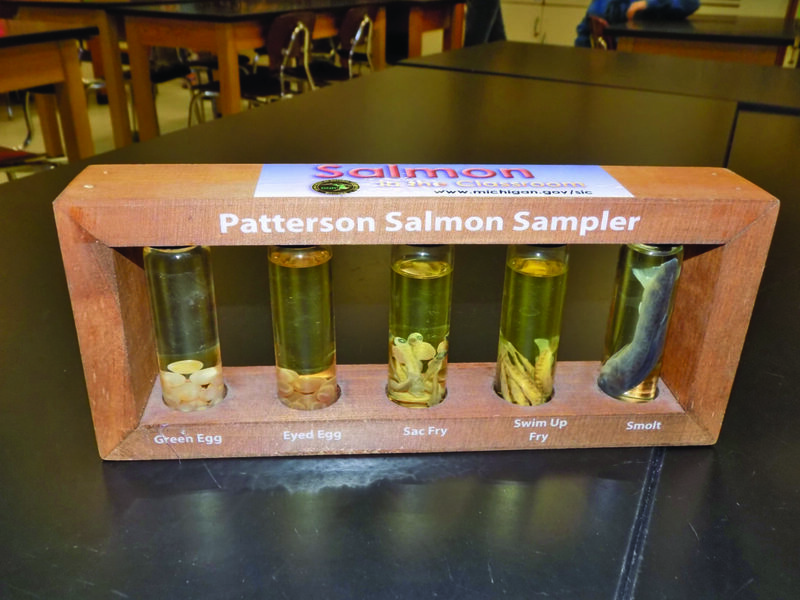 Science teacher Kristy Humphrey’s students have been taking part in the Salmon in the Classroom project, with the help of the Michigan Department of Natural Resources. However, the youngsters have been taking ichthyology — the study of fish — to another level. They have been raising salmon in the classroom, just as the program name says, but they also have been taking care of aquaponics tanks that involve fish waste. 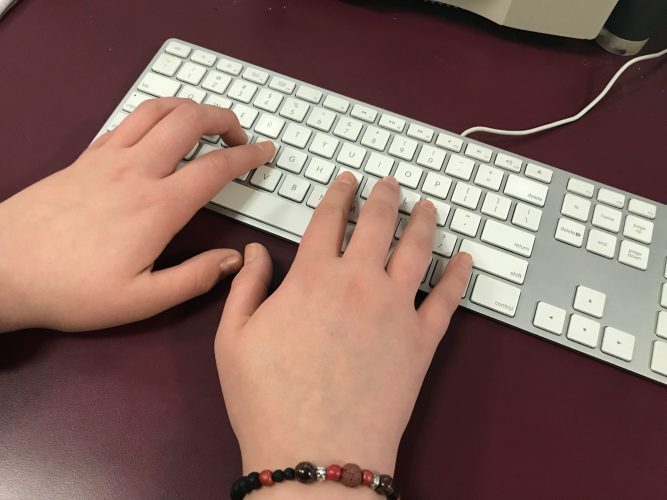 “It’s a ton of work, and these kids will take care of them from November through May,” Humphrey said. 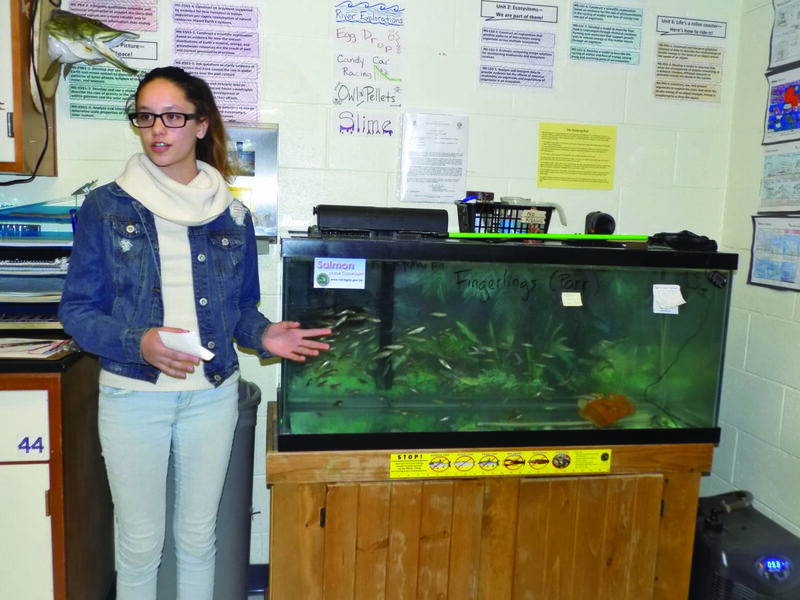 It might be hard for a student to pay attention in class when fish are swimming just a few feet away, but the project seems to be a big success. 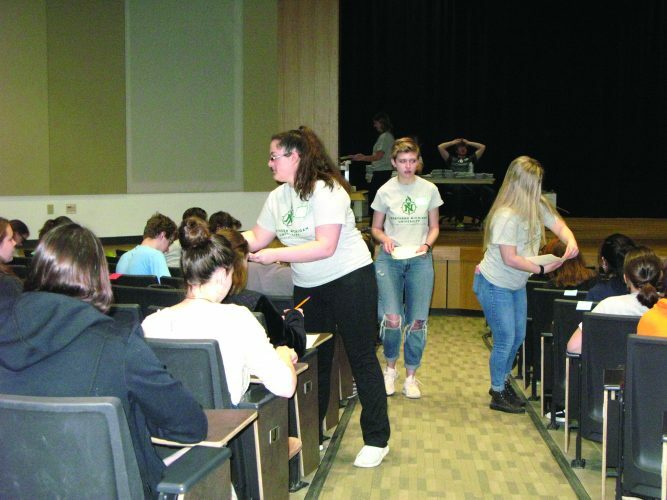 Humphrey and several students talked about their efforts last Wednesday during a breakout session, or mini-field trip, if you will, at the Gwinn Area Community Schools Board of Education meeting. The students are able to watch the fish cycle right in the classroom instead of from a textbook. Sixth-grader Leif Lowe said they receive the salmon as “eyed eggs,” which grow into sac fry that eat off their yolk sacs until they turn into “swim up” fry. The salmon are scheduled to be released into the wild May 18. “Eventually they’ll have their imprint of their birth stream,” Leif said. He noted the fish then will spawn and die — perhaps a sad fact for the students, but a fact nonetheless. Humphrey said the salmon will memorize the smell of the water where they were released, a phenomenon that comes into play even in the classroom. After all, it’s natural the students would want to watch the eyed eggs grow into full-sized fish since they have been acting as their caretakers for months. “It’s key that we get them out there in May because if we were to keep them — because the kids are like, ‘Why can’t we keep them until they get big, right?” — well, then they would memorize the smell of this tank and they would get to the point where we would have to get rid of them because they’re too big,” Humphrey said. Subsequently, if the salmon were released outdoors, they would live but would never go upriver and spawn — probably not the project’s preferred outcome. Sixth-grader Bayani Collins said the salmon tank — currently home to 148 fish — is cleaned every Tuesday and Friday. “The first thing that we do is we drain 20 gallons of water and then we put 20 gallons back in the tank, and when we do that we put chlorinator drops in it to make sure the water is all clean,” Bayani said. Every Friday, test strips are used to determine the ammonia and nitrate levels, and ensure the temperature is correct, she said. Seventh-grader Kadence Barrett is particularly well versed with the salmon project. “Last year, she was my ‘go-to woman’ for that sixth-grade tank,” said Humphrey, who noted the girl single-handedly took care of an 80-gallon tank with 150 salmon during a period when the schools were closed. “And I had no worries,” Humphrey said. Kadence talked about the upcoming release day when the students will go to the city of Marquette near Tourist Park and the Dead River. The fish will be put into little bags in the water to acclimate them to the water temperature before they are released. in five to six years, the salmon will return to the area to create a new generation of fish. “For the next stop, we go to the MooseWood Nature Center, and then we learn about how to tie flies,” Kadence said. Another expected stop is the Marquette State Fish Hatchery in Harvey, yet another part of the salmon experience. Sixth-grader Brayden Dishaw discussed the school’s new fish project: the aquaponics tanks, with one home to a bluegill and the other housing goldfish. The water from the tank is pumped into the top gravel box. The tank water gives the plants food and moisture they need to grow. The red and blue lights provide the ultraviolet light the plants require to perform photosynthesis. The project also is where ichthyology meets botany since the students are growing snap pea plants in a tank. “The kids are having fun growing their snap peas, and hopefully we’ll keep them alive for the summer,” said Humphrey, who acknowledged that the students could take them home to plant in gardens. So, peas on their plates could be yet another reminder of their salmon project. According to the DNR website at michigan.gov/dnr, under the Education and Safety section, caring for young salmon encourages students to think and care about conservation. It also creates a connection between caring for the fish as well as their local environments. “We’ll keep on doing this as long as the DNR runs that program,” Humphrey said.